I have had a close professional relationship with Heather Pollock for a period of four years. 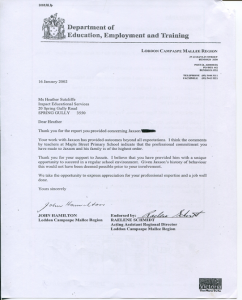 I have referred young people from the state government education system that have either failed or are at risk of failing in the system, to Heather for her professional assistance. These are young people at the most extreme end of learning and behavioural difficulties. Without exception, Heather has taken on every case presented and has been able to succeed where schools have not been able to cope nor cater for the particular student. In all cases after receiving Heather’s therapy and support, the young person either returned to school successfully or pursued another appropriate educational pathway. I have also observed positive change in many of her young clients as she has assisted them in a process from failure to success. Many parents regard Heather as a “God-send” as they too observe significant changes in the self-esteem of their children as they experience success. I regard Heather as one of the most talented professional educators that I have met. Her unswerving belief in young people, her practical strategies to develop trusting relationships and her sense of community responsibility are exemplary. Heather has been involved with 15 students on our program, who have developmental delay and intellectual disabilities over a number of years. These students were believed never to move beyond a year 7, often lower, level of literacy and numeracy. The progress of these individuals through her integrated form of therapy has been nothing but remarkable. Many who believed they could never be able to read, can now read with accuracy and demonstrate a level of skill that was never thought possible by mainstream counterparts. Heather’s skills in developing auditory memory, visual memory and language ability in our clients has not only improved their language skills, but has enabled these individuals to feel confident about their abilities to engage with mainstream. Many are now achieving their vocational dreams and are entering the mainstream workforce. I have personally and professionally found Heather engaging and unflappable when working with my clients. Her confidentiality, respect, gracious and amiable nature allows these individuals to feel they are safe. This promotes expression and creativity that has been quashed for many years when dealing with disability government services systems. I believe that Heather will be enhancing students opportunities further with her integrated style of therapy by sharing it with the wider community and I fully support her in this project. Z. M. (Case Manager, Futures for Young Adults – 18yr olds and over with disabilities. I would like to commend the work that Heather Pollock has done with one of my students over the past year. She has an extensive knowledge of learning disabilities and has been willing to share her expertise with myself and my colleagues. Together we formed a support group for the parents, teachers and integration aide of the student and met regularly. I found Heather to be professional and honest in dealing with the needs of the student and in communicating these needs, particularly to the parents. I would like to wish her all the best for her future endeavours. 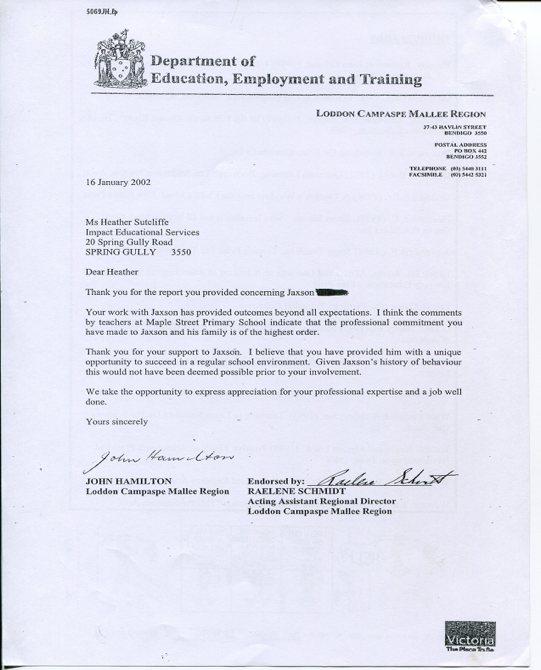 I have worked with Heather on the Koori Alternative Education Project. She was a Member of the Project Committee. The Committee was composed of talented selected local consultants and skilled field practitioners under the auspices of the Commonwealth Department of Aboriginal Affairs. Her input on the literacy skills proposed program was invaluable. Heather’s work first came to my attention when as a consultant she taught in a large Primary school, working with children with long term learning difficulties including specific reading problems. The outcomes for these students from her work were outstanding and incredible – all within a very few months. This Project has the potential to be an agent of change in practices that will impact on the lives of students at risk. There is a demonstrated need for alternative strategies. A growing proportion of students are disengaging from the social and educational experiences at school. Many of these children are referred to specialist teaching units, psychologists, alternative programs for intervention or rehabilitation. For some children these language-based interventions have a degree of success. For some an alternative approach is needed. This project will enable the extension of some current strategies that have been trialled over the last few years in this community and have demonstrated success with students. Whilst much information can be gleaned from journal articles, books and websites, actually working with and learning from experts, those who are at the cutting edge of their discipline practice gives a much more complete professional experience. 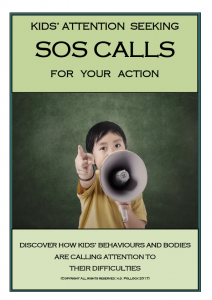 Interventions and approaches such as this, whilst new to many practitioners in Australia, are exciting, innovative and successful strategies for reaching some of the most disengaged, disillusioned, and often angry young people in our society. There is a demonstrated need for such new approaches, and so there is support from parents, educators and other professionals for innovation in our approach to the management of students at risk. The development of such an approach in our communities would be a welcome innovation. I have no hesitation in fully supporting this project. This program has the potential to make a significant difference for many students in our schools who are disengaged and at serious social and educational risk. For many there is no long-term resolution or rehabilitation. For these children we need to provide an alternative method to help them achieve success. This project will build on some new strategies that I have seen used with children from my own school to achieve success that could not be achieved using the traditional language-based techniques. 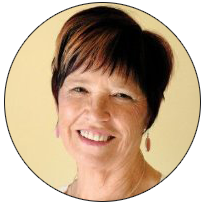 Heather’s ground-breaking work with children in this community’s schools has challenged and changed the usual thinking on how to approach these children amongst our educators and opened up a new range of possibilities that need to be explored to the fullest degree. From my discussions with Heather about this project, I have gained a sense of her deep commitment and hunger for knowledge to fully understand what is possible for these children and her sense that there is a need to have professional interaction to challenge her own insights and understanding as to what these new approaches may offer this critical mass of students in our communities across the world. We need to explore all avenues to support these young people and their families and this opportunity presents a realistic change to develop some new approaches to reattach these young people both socially and educationally. The availability of these approaches to the children attending our schools would make a significant difference to their well-being. I fully support this project and look forward to it coming to fruition in the near future. Heather has been involved with 15 students on our program over a number of years, who have developmental delay and intellectual disabilities. These students were believed never to move beyond a year 5 or 6 and often lower, level of literacy and numeracy. The progress of these individuals through her integrated form of therapy has been nothing but remarkable. Many who believed they could never be able to read, can now read with accuracy and demonstrate a level of skill that was never thought possible by mainstream counterparts. Futures for Young Adults—18 year olds and over with disabilities.